Hello and thanks for stopping by my little blog! 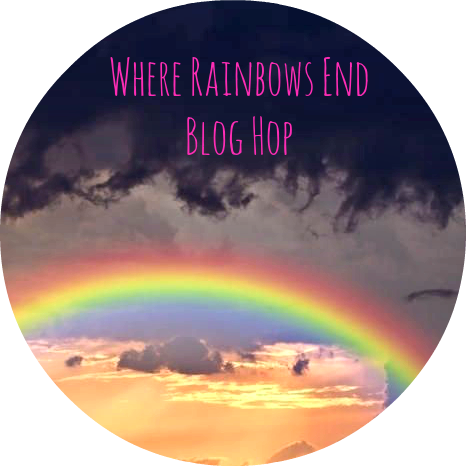 I went on the hunt for a blog hop to participate in but sadly couldn't find any so I thought I'd begin my own so I created the Where Rainbows End Blog Hop. I hope that you'll all link up, have fun finding new blogs when you'll hopefully fall in love with and have some great posts to follow from your newly found bloggers. You can link directly to your main blog or your favourite post from the past week, it doesn't matter, just enjoy it! Have a fabulous weekend everyone, happy blog hopping! Hi Fiona. How do I join? Love the blog, can't seem to be able to join the hop. Am following you now! Have followed you too, look forward to reading future posts!